Author: Ondaatje, Michael Set In . . . 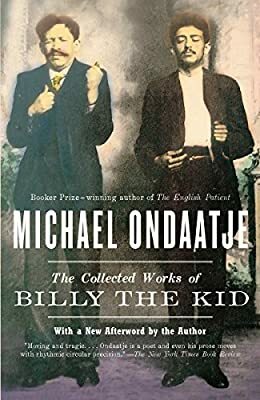 Description: Drawing on contemporary accounts, period photographs, dime novels, and his own prodigious fund of empathy and imagination, Michael Ondaatje's visionary novel traces the legendary outlaw's passage across the blasted landscape of 1880 New Mexico and the collective unconscious of his country. The Collected Works of Billy the Kid is a virtuoso synthesis of storytelling, history, and myth by a writer who brings us back to our familiar legends with a renewed sense of wonder.